Prospect Point is Vancouver's northernmost point and the destination of Stanley Park's highest climbs. Prospect Point is Vancouver’s northernmost point and with its views of the North Shore (and its public washrooms) is the destination of Stanley Park’s highest climbs. From Second Beach, the two main trail arteries leading to Prospect Point are Rawlings Trail and Bridle Trail. Both trails are wide, shared-use pathways comprised mainly of well-travelled crushed gravel. Rawlings roughly parallels Stanley Park Drive for about two kilometres before cutting away eastward to merge with Bridle Trail, which cuts a more direct and sometimes steeper path to the Point, roughly parallel to the Stanley Park Causeway. The total distance of the Rawlings route to the Prospect Point concession from Second Beach pool is about 3.1 kilometres, compared with Bridle at 2.5 kilometres. 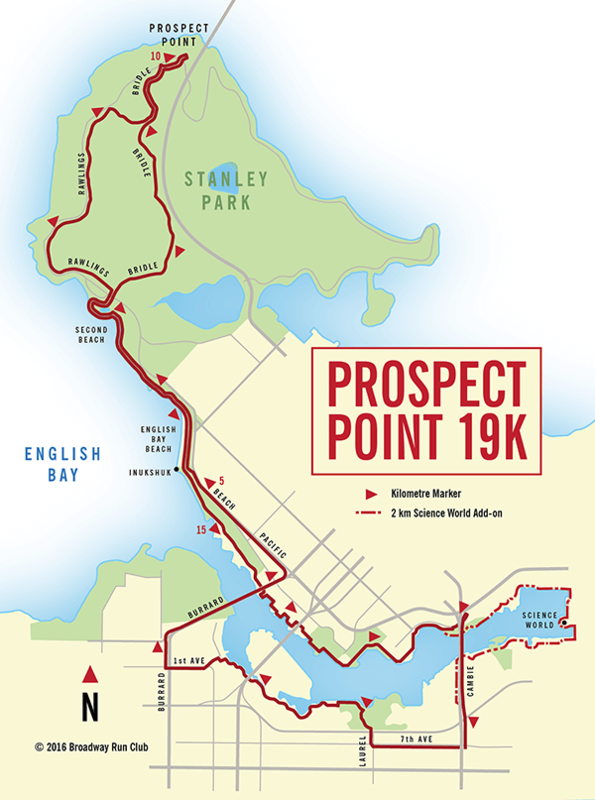 This 19k route from the Cambie Running Room (with a 2k add-on) follows Rawlings up and Bridle back to give you a taste of both options. 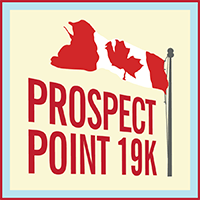 Run down memory lane with the 16k version of the Prospect Point route we used to do from the old Broadway Running Room.